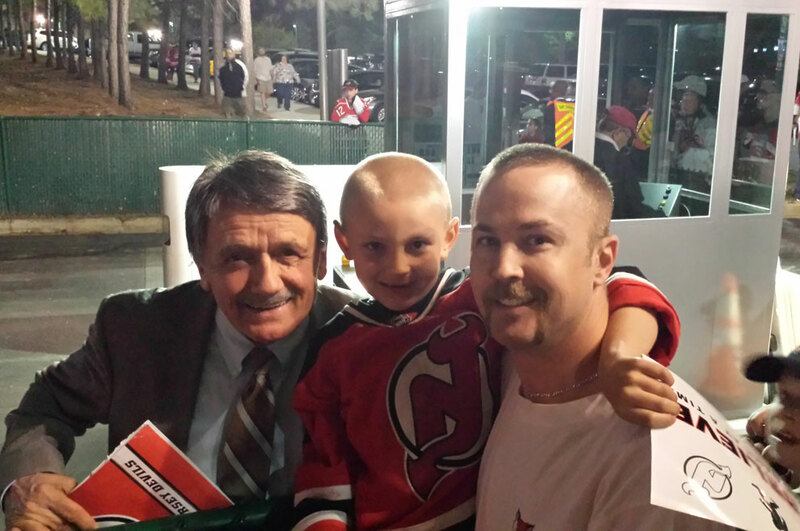 Sometimes when people get the opportunity to meet their childhood hero, the experience is less than favorable. It's disapointing to find out that a person that you looked up to for so long has let the power, money and fame distort the real reasons that they are powerful, rich and famous. Some people become heros and idols because they command attention. 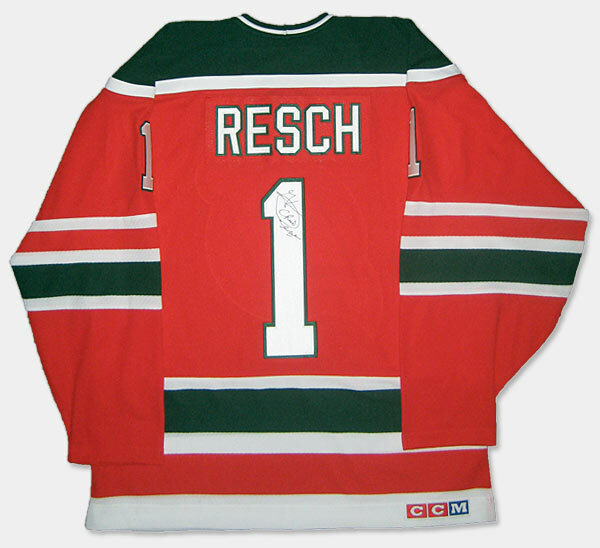 Chico Resch on the other hand, chooses to let his actions speak for themselves. I think we can all figure out who the real heros are! 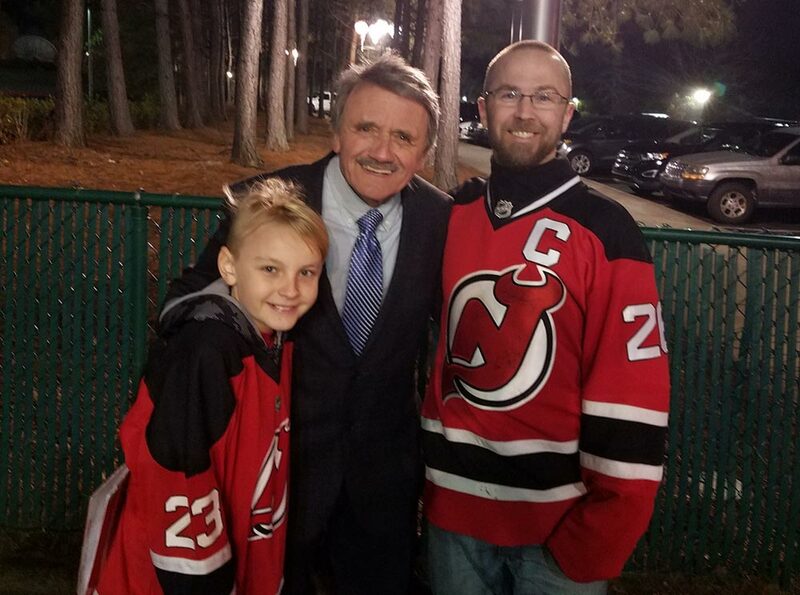 My wife and I met Chico during the Devils 3-1 win against the Capitals and I couldn't have expected anything more. I asked him if I could get a picture with him and he agreed with the same humbleness that made me a fan of his all of those years ago. He not only took the time to take a picture, but he told a story and signed a personalized autograph for us! 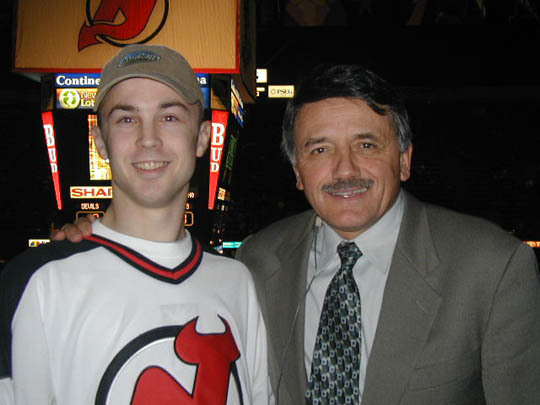 I got to meet Chico again in Raleigh, NC on 03/15/07 after the Devils 3-2 victory over the Hurricanes. He was still as nice and genuine as ever and signed my wife's jersey on his way out to the parking lot! 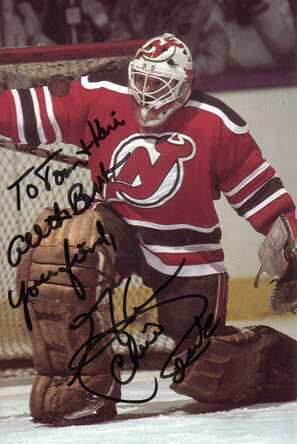 I feel bad that I don't give Doc Emrick his due when I see him only because I've been a fan of Chico for so long. Mike 'Doc' Emrick is by far the best play-by-play guy in the business! He has also been as friendly as could be to me and I respect him for his talent and professionalism. Keep up the great work Doc! 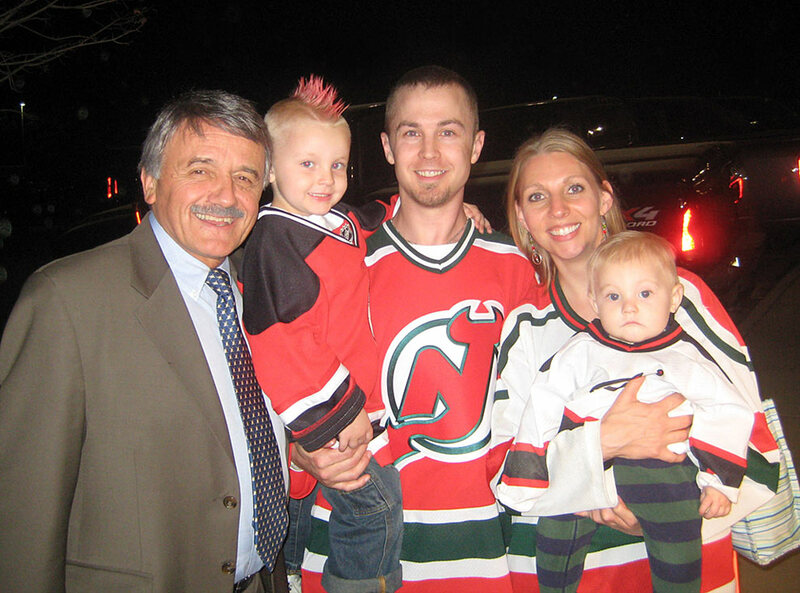 I was fortunate enough to catch up with Mr. Resch after the Devils/Canes game tonight and, as always, we was gracious enough to chat, sign my retro jersey, and pose for a picture with my family. 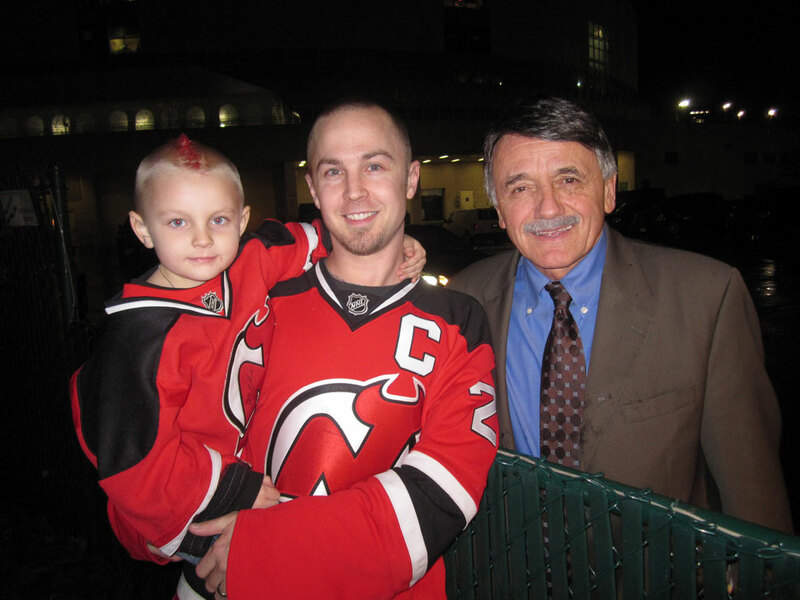 I got to talk hockey with Chico after game while he waited for his taxi. It was cool to hear his take on this miserable season as well as to hear about his conversations with Jacques Lemaire. It was a cool insight into the team. I asked if Chico was going to be back next season and he said, "It doesn't look like it but you'll be fine because Dano is taking over". It's a sad day but can't blame a guy for wanting to enjoy retirement (hopefully MSG isn't forcing him out). 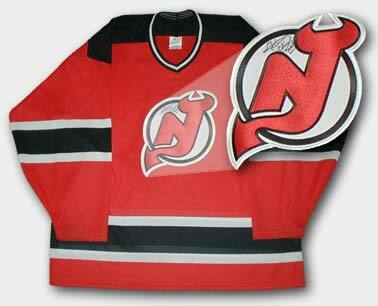 The era of Doc and Chico will be forever be engrained in the hearts and minds of Devils fans. Chico was in a rush but still graciously stopped for a quick picture.